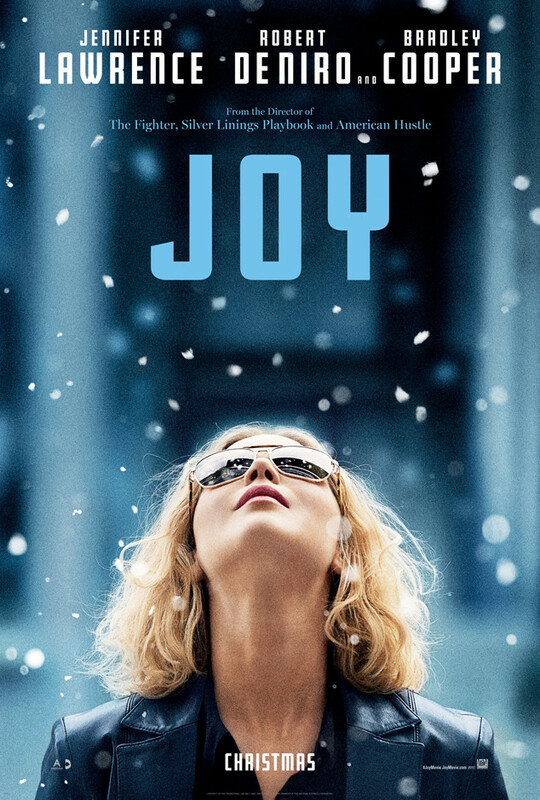 David O. Russell’s latest directorial effort is Joy (2015) – the story of inventor Joy Mangano, a divorced mother of two with a complex family situation, who is in the throes of developing her newest idea, the Miracle Mop. Led by Jennifer Lawrence as the titular Joy, and with an ensemble cast of many and varied supporting characters, it is important to note that Lawrence has just been nominated for Best Actress at this year’s Oscars. On a surface level, it appears like this story has a lot going for it, and a supporting cast of home-run actors and actresses. However, is it worth paying for a ticket to see this at the cinema, or should you perhaps wait to watch it in the comfort of your own home? I maintain my belief that David O. Russell is a good director slash producer slash screenwriter who is batting above his average. He seems to tell stories that are high impact and have a lot of potential to be ‘great’, but are poorly communicated, and as a result are usually ‘good’ at best. However, Jennifer Lawrence has starred in all of his most recent highly acclaimed films. This is a good thing as this makes audience-goers believe his films are better than they actually are, because Lawrence is so beloved (and for good reason – she is an excellent actress). 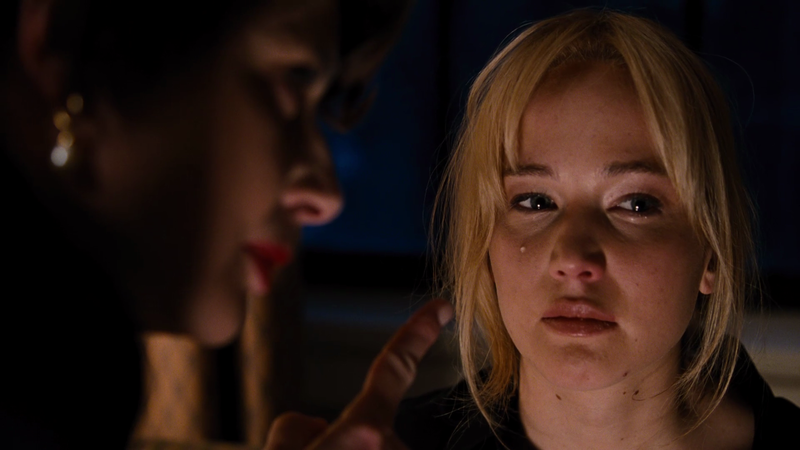 I really wasn’t a fan of Silver Linings Playbook (2012), nor American Hustle (2013), and nor Joy necessarily, but in all three films, Lawrence is the moneymaker; not the story, not the script, certainly not the direction, which is nothing to write home about. It goes without saying that Jennifer Lawrence is great in Joy, as Joy. Lawrence has a very singular acting style that feels simpler than it really is. She conveys a lot of emotion with very little effort. She is truly enjoyable to watch, but at the same time, I’m not entirely sure that this performance is worthy of an Oscar nomination. Joy also boasts two David O. Russell regulars – Robert De Niro as Joy’s father, and Bradley Cooper as an executive who assists Joy to sell her products on television. This trio of David O. Russell favourites is notably joined by legendary actress Isabella Rossellini as Joy’s father’s newest wife and financial backer of the Miracle Mop, Dascha Polanco of Orange Is The New Black fame as Joy’s best friend and supporter Jackie, and Diane Ladd as Joy’s grandmother and source of moral and emotional support. It’s an interesting cast, because at all times you’re aware of Russell’s three favourites, and there is a lot of focus on these three to carry the story. But it’s smaller characters such as Dascha Polanco’s Jackie that provide the little stand-out moments of the film. One scene where Jackie coaches Joy through her performing the Miracle Mop on television is really lovely, and shines much more in comparison to Bradley Cooper’s efforts as a whole, for example. As aforementioned, Joy is all about Joy Mangano, the inventor of the Miracle Mop – a product which seems pretty impressive. My favourite aspect of this film was its sequences of inventing the mop, selling the mop, shady business deals involving the mop – pretty much all the mop content was top notch. Where Joy gets stuck is in its portrayal of complex family dynamics which, in true David O. Russell style, bogs down the story somewhat, and tries to unnecessarily significant, eventually amounting to not much at all. We are shown how difficult Joy’s home life is, but this conflict seems to just melt away. There’s a lot of set-up for not a lot of resolution; which is evident by the film’s end, where we’ve been exposed to a lot of build-up and are delivered a very conveniently edited and composed conclusion. 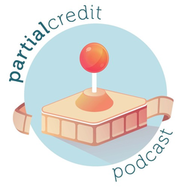 A lot of reviewers seemed to take issue with the choppy progression of the story, which jumps backwards and forwards in time depending on its own whims. I didn’t mind this method of storytelling, as ultimately, the story moved forward in a quicker pace than American Hustle did. Another element that I did very much enjoy about Joy was its soundtrack. Filled to the brim with energetic rock music and using what sounded like a lot of songs by The Rolling Stones, the film also contains a jazzy percussive beat throughout which serves as the film’s musical backbone. In a way, the construction of the film matches this kind of drum beat; moving about in an ad hoc fashion that sounds pretty good, but doesn’t make sense to a lot of people. 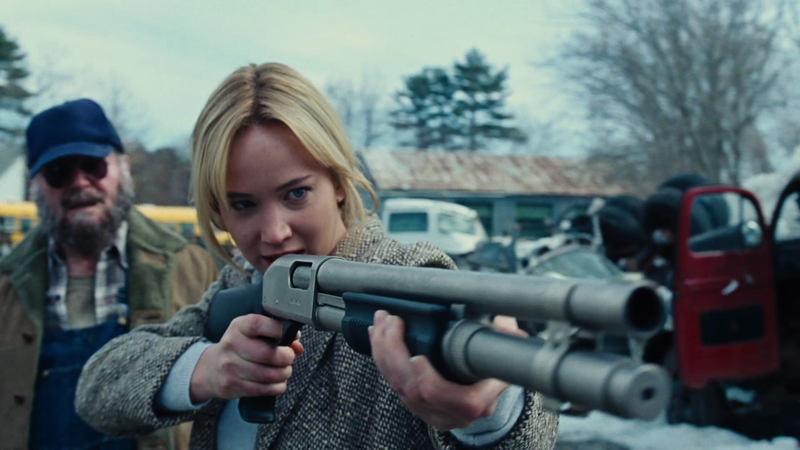 Ultimately, Joy is another David O. Russell film which is trying to be a lot more significant than it really is. Joy is an enjoyable watch, and there is nothing about it that stands out as absolutely reprehensible during the film-watching experience. It’s not great, but nor is it underwhelming. Joy is the kind of middle-of-the-road release that contains some good performances, but is marred by a boggy storyline which concerns itself too much with family politics, and contains some very mediocre direction by David O. Russell. Jennifer Lawrence’s performance is a highlight, as is Dascha Polanco’s performance in a fairly minor role. But you won’t miss out on much if you wait to watch this at home, unless you enjoy watching all the Oscar-nominated films at the cinema. Is it worth paying for a ticket? : Not really. I actually really enjoyed this: I like your comments on Dascha Polanco too. Not a huge hit by any means but I liked the family dynamic and soap opera metaphor utilised throughout, really emphasising that Joy has to live the life she believes in and not get dragged down by her, fairly, inexcusably unsupportive family. I can’t believe I forgot to write about the soap opera metaphor. That part was clever, but ultimately I found this pretty overstuffed, which is probably why I completely forgot about it. What a terrible family though! The sister was the worst. A lot of people hated this. I didn’t, however, it was a tad bit disappointing. Nice review Anna. Cool review 🙂 I liked that you didn’t give the generic “oh its a bad movie” that has been attributed to Joy and gave it due credit. I think I’ll catch this over the weekend! Thanks! 🙂 I’m interested to hear your thoughts on this! I’m gonna watch it real soon! Great review Anna! I can’t way that I will be running out to go watch this. I just don’t get the hype around JLaw anymore. Sure, she’s a good actress, but she’s become a bit generic to me. Thanks Natasha! Yeah, there has been quite a bit of exposure for JLaw over the past couple of years. Might be a bit of JLaw fatigue! Yeah I wasn’t big on Hustle, which kept me from seeing this. Nice review Anna! Thanks Lukas! American Hustle made me so angry because I really wanted it to be a good film. I laughed out loud at “pretty much all the mop content was top notch.” It really was though! The QVC scenes were straight out of a dream. I guess I will get to this at some stage. While I enjoyed Silver Linings Playbook, I intensely disliked American Hustle. So definitely not rushing out for this, and it seems that that choice is alright. Great work Anna! Thanks Zoe! Probably best not to rush out to see this one, but it may be worth seeing eventually. Particularly if JLaw wins the Oscar! Thanks heaps! Now that is a long-standing boycott. But a boycott that makes a lot of sense! I’m in for this. I wasn’t a big fan of Russell’s Silver Linings Playbook, but I liked American Hustle a great deal. Maybe this one’ll split the difference. Good review, Anna. Thanks Jordan, I’d be interested to read your thoughts on this one given your thoughts on Russell’s other films! Love your description of Lawrence’s acting style. She often makes it look so simple while simultaneously evoking terrific subtlety to match. And she completely carries this film, even though I enjoyed its messiness. Great stuff Anna. Hi Anna, great review as always. I know one should always be open-minded when it comes to trying new films, but for me I just don’t have the interest. After The Fighter and Silver Linings Playbook, Russell had my attention and I became a fan, but then after the hype and disappointment that was American Hustle my interest in his work dropped a bit. So when I heard this film early side of last year I was excited, but then the trailers turned me off. I just wasn’t interested and I felt like I was getting Jennifer Lawrence fatigue so I decided to give the film a miss. Thanks so much Curtis! I do think that the Jennifer Lawrence fatigue is a real thing, even though she is a great actress. You may get completely burned out from her films by this one if you watch it! This question has bothered me all month. Glad to hear your view on the movie. Thanks heaps! 🙂 I often try to weigh up whether it’s worth going to the cinemas to see a film or to just wait to see it later, because of how pricey cinema tickets are here. Just doing my bit to help people suss out their financial priorities! Interesting to hear your take on the film. I hated American Hustle but loved Silver Linings Playbook, so I’m curious as to how I’d get along with this one. I thought the blue-collar humor worked in Silver Linings, but felt forced in American Hustle and The Fighter too, come to think of it. I’ll never get over how much I disliked American Hustle! I think I need to re-watch Silver Linings Playbook though because I didn’t really enjoy it, but I think I was falling asleep as well, so that’s not really fair.